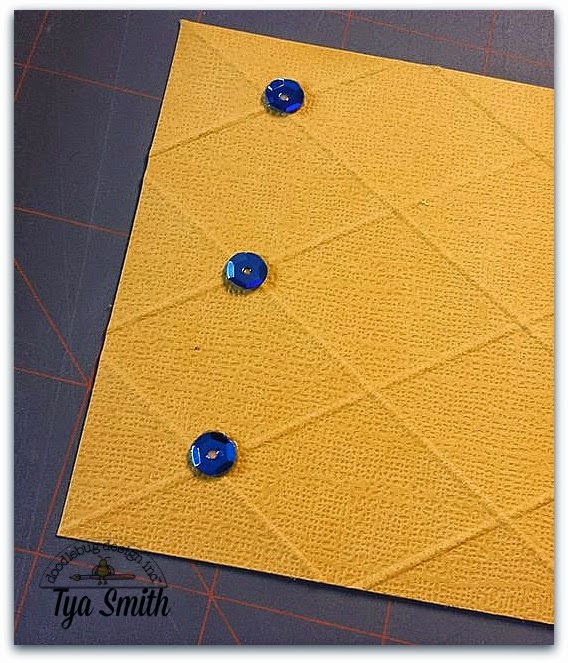 Hi there Doodlebug Fans- It's Tya here to share with you my project featuring our yummy Sequins! 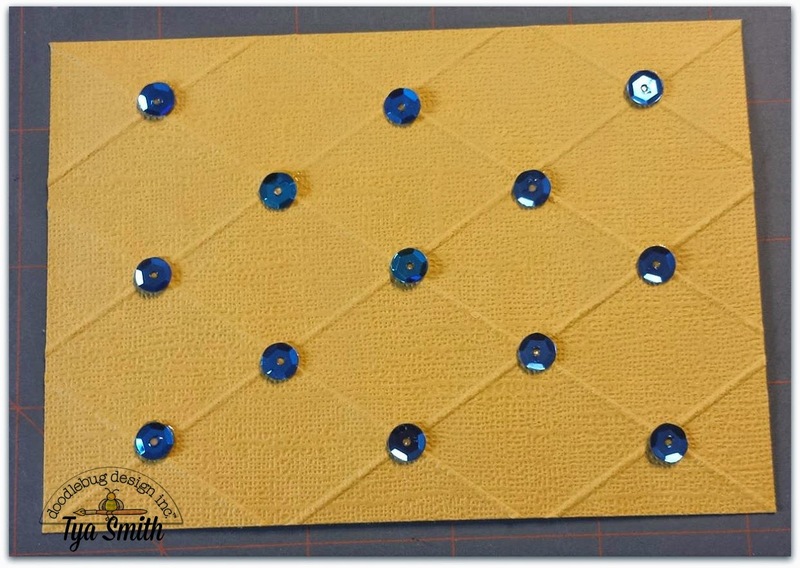 I love using sequins when I want to add a little bling and texture to my projects. 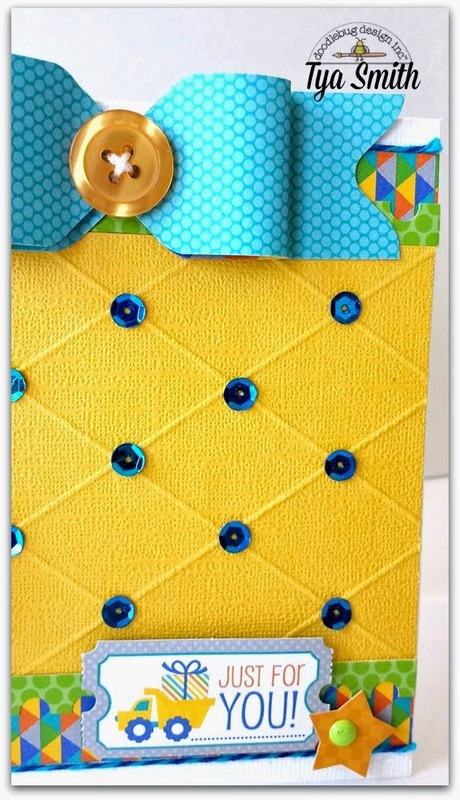 I wanted to share with you this lattice scored card technique that I think highlights just how fun the sequins can be when you add them to this type of card. 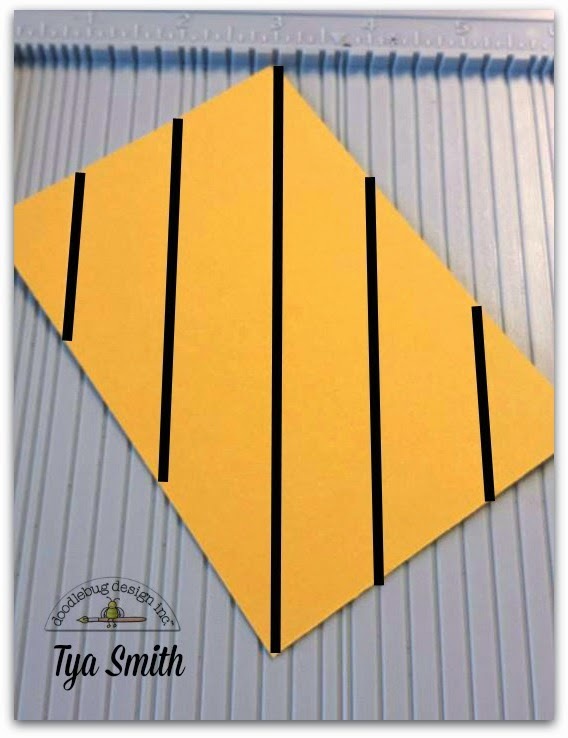 It is super simple and adds a fun touch to an otherwise ordinary card front.
. Now, take the paper and line up the top left corner and again score every 1 inch. 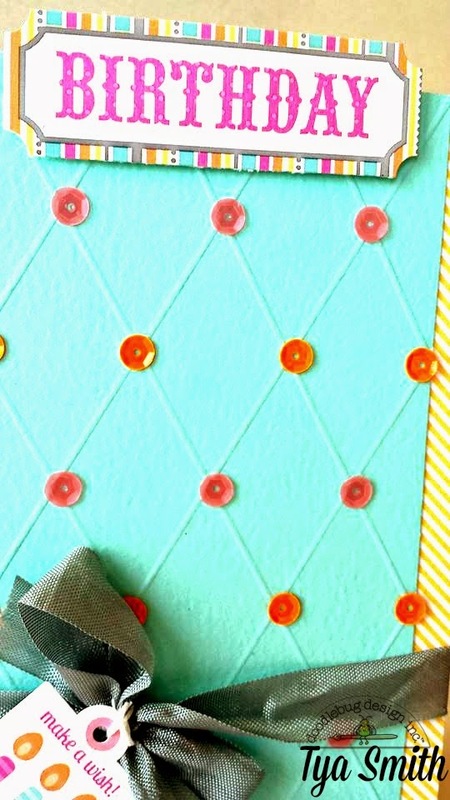 I then added the sequins to the intersecting scored lines. 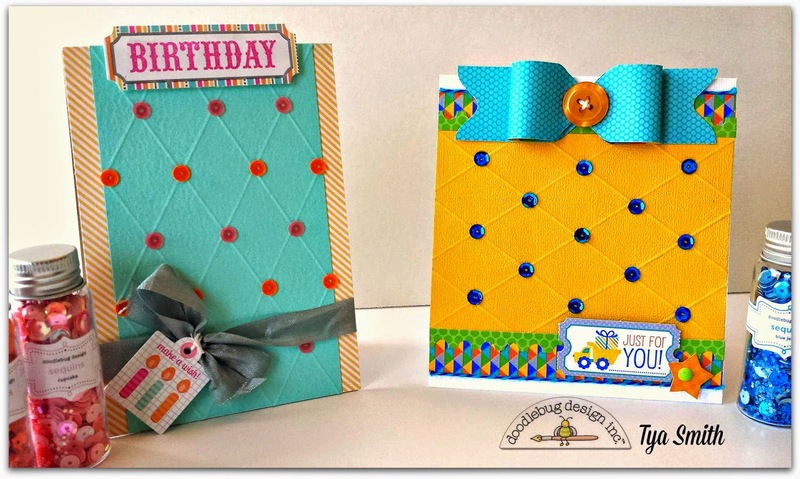 Here are the cards- I used the Sugar Shoppe and Hip Hip Hooray lines to make these cards. 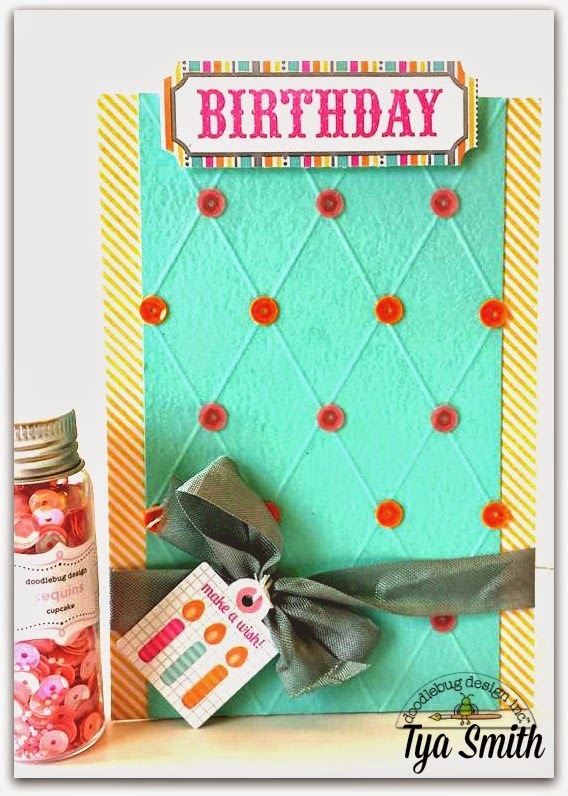 Thanks so much for joining me and go try this technique on your next card if you want to add a little extra "bling"- with the different styles of sequins in each bottle from opaque to metallic - you are sure to find just the right sequin to use! Happy Crafting! Woohoo!!! Thanks for this fabulous idea!!!! I know what my next card will look like!! What beautiful set of cards! You ladies got me into sequins now! I never thought there were so many things u could do with them!!! Thanks for the inspiration! Super cool and a great use of sequins!! Love that you explained so well how to do this!! I am going to give it a try!! Thanks!! 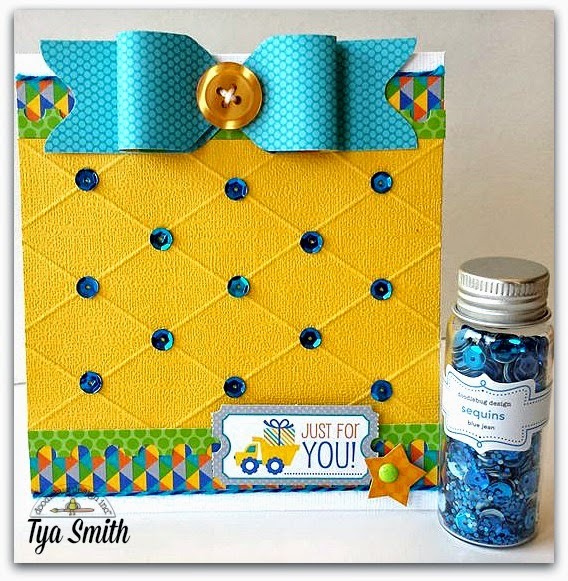 FUN & FABULOUS cards Tya - LOVE your lattice scoring and sequins - WOW - LOVE your paper bow too!!! 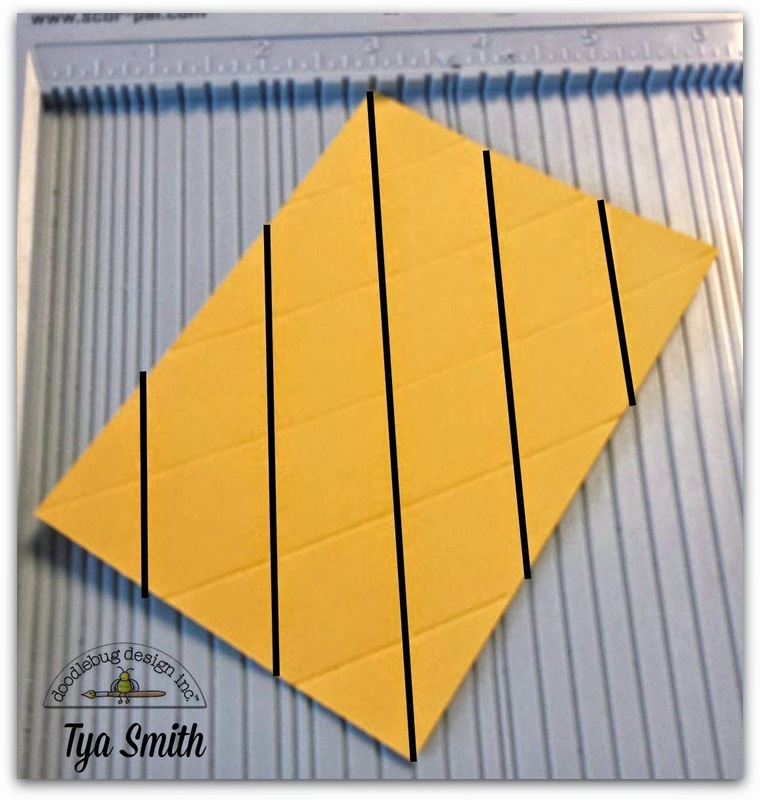 THANK YOU for sharing your COOL scoring technique (yep, I NEED a scoreboard NOW) and CREATIVE INSPIRATION!! !